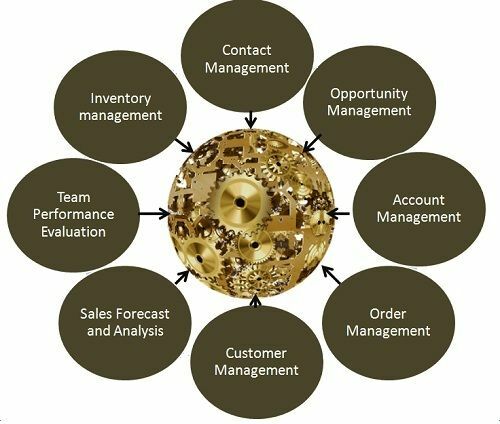 Definition: The Sales Force Automation, abbreviated as SFA, refers to the technique wherein the software are used to automate the business tasks such as inventory control system, account management, process management, contact management, customer tracking, sales funnel management, sales forecasting analysis, product knowledge, sales lead tracking system, sales team performance evaluation, etc. Competitive Advantage in terms of cost, revenue, and market share. Timely information regarding the sales. Increased customer satisfaction with the reduced response time. Keeping proper records of the customer, that can be tracked down easily. The sales forecast can be done accurately with the help of past sales data. Efficient utilization of scarce resources. Less time required by the sales manager to prepare the daily, quarterly, monthly or annual reports. Optimum utilization of time by the staff members. Data entry is too much time consuming. Difficult to accustom with the software system. With automation, the personal touch is lost. Tedious job of regularly upgrading the system, making the new entries, cleaning the unwanted data entries and maintaining the system as a whole. Sometimes difficult to integrate with company’s other management information systems. The high cost involved in the installation and maintenance of the system. The SFA is the part of the company’s Customer Relationship Management system; that records every stage of the sales process. It is often called ad Customer Relations Management Software. Such an informative read. Thanks for sharing.